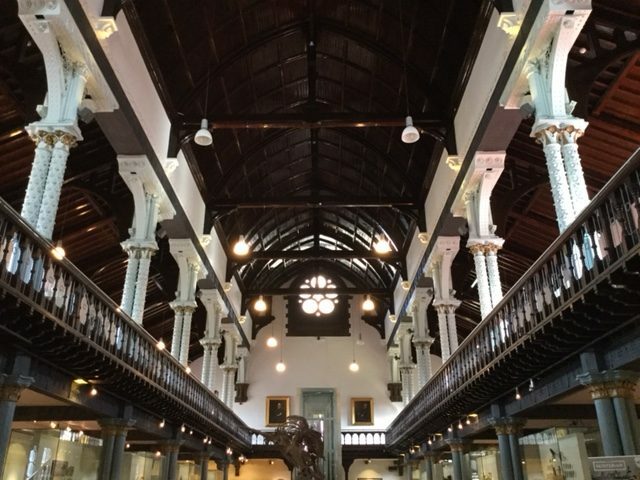 On Wednesday 22nd March, the University of Glasgow hosted its ACE event in the spectacular Hunterian Museum. Attendees included local teachers, local authority representatives, headteachers and policy makers from across Scotland. 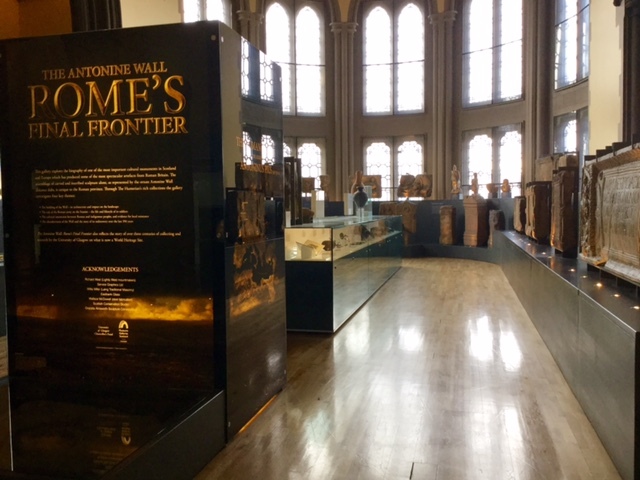 Professor Matthew Fox, our host in Glasgow, had devised a fun quiz for attendees to complete while they explored the Hunterian’s Roman exhibition, ‘Rome’s Final Frontier’, showcasing various archaeological finds from the Antonine Wall. The event started with a welcome from Professor Fox and an outline of the ACE project from Professor Hall. Dr Holmes-Henderson provided an overview of the role of Classics in Scotland’s Curriculum for Excellence – her specialist subject! Gillian Campbell-Thow from Glasgow City Council who summarised the introduction of Latin as L3 in selected Glasgow City Council primary schools, as well as plans to introduce Classical Studies as part of Broad General Education in selected secondary schools. These projects have been made possible by a grant from Classics for All. Professor Do Coyle from Moray House School of Education, Edinburgh University, shared news of a new teacher training route for teachers of Latin and Classical Studies in Scotland. The University of Edinburgh plans to offer a Masters in Transformative Learning and Teaching and will offer a handful of places for Latin with Classics. This is welcome news, indeed. Creating a home-grown supply route for Classics teachers in Scotland is vital to the continuation of the subject in Scottish schools in the decade ahead. 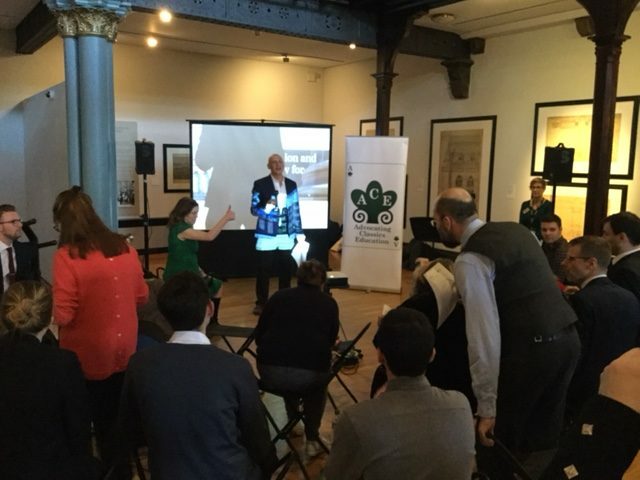 Andy McKellar from the Scottish Qualifications Authority gave an overview of the syllabus content for Classical Studies at various levels in Scotland and answered questions from attendees on matters of assessment. The topics available for study in Scotland are interesting and varied. The SQA website includes full details. Ann Cunningham, a teacher of Classical Studies at Calderside School in Blantyre, South Lanarkshire, explained the value of Classical Studies for pupils in state schools. She even brought four pupils of Classical Studies to tell their own stories. Hearing from the pupils was most compelling: they value the knowledge and skills they gain from studying Classics. They each described eloquently how studying Classics has made them more informed citizens and better communicators. We plan to record their testimonies at a later date, to share on this website. Alex Imrie from the Classical Association of Scotland described the financial help available from Classics for All to schools and/or local authorities which would like to introduce Classical Studies. Headteachers were keen to find out more, so Alex will follow up with many of the attendees before the end of the academic year. Our patron Nat Haynes did a super job of summarising the value of studying Classics in the twenty-first century and had the audience in fits of laughter describing her experiences of studying and teaching Classics. Her segment on Lysistrata was particularly good at lightening the mood! Professor Fox closed the evening with a rallying call to turn the evening’s enthusiasm into action. We look forward to hearing more about how this event galvanises a resurgence of Classics education in Scotland. The policy support is there: Classical Studies qualifications exist at all levels. We just need to secure curriculum time and more teachers! Watch this space.